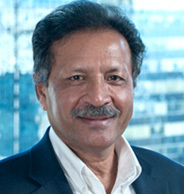 Satish Jindal, PhD, is BioMotiv’s Managing Director. Most recently, Dr. Jindal served as CEO of Allied-Bristol Life Sciences (ABLS). Prior to ABLS, he served as a Vice President at Bristol-Myers Squibb (BMS) and Managing Director of the Biocon-Bristol-Myers Squibb Research Center (BBRC) in Bangalore, India. During his tenure at BMS, he partnered with Allied Minds and BMS to create the unique accelerator model, ABLS. Dr. Jindal has extensive experience in forming and building biotechnology companies, including Vedantra Inc., an immunotherapy company that he co-founded based on intellectual property from the Koch Institute at the Massachusetts Institute of Technology (MIT); Verastem Inc., a NASDAQ-listed cancer stem cell company that he co-founded with researchers from the Whitehead Institute, the Broad Institute and MIT; and NeoGenesis Inc., a drug discovery company that was acquired by Schering-Plough in 2005.He also served as Vice President and Site Head at Schering-Plough Research Institute in Cambridge, Massachusetts, and worked in Business Development at UCB Pharma in the UK. Dr. Jindal completed his postdoctoral work at Whitehead Institute for Biomedical Research at MIT and McMaster University in Hamilton, Ontario, Canada. He obtained a PhD in Biochemistry from Punjab University in India. Dr. Torphy is the Chief Executive Officer & Chief Scientific Officer of BioMotiv and Chair of the Cystic Fibrosis Foundation Therapeutics, Inc. Dr. Torphy brings over 30 years of experience in the pharmaceutical industry, including at Johnson & Johnson and SmithKlineBeecham, with a successful record in both small-molecule and large-molecule drug discovery.